Lexapro And Alcohol Combination: Is It Safe? Lexapro is a commonly used brand name for the antidepressant medication Escitalopram. It is a class SSRI – Selective Serotonin Reuptake Inhibitor – antidepressant used to treat depression and anxiety. 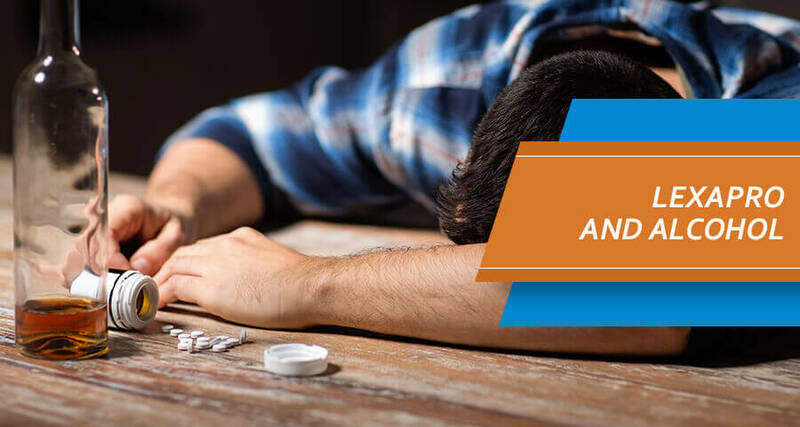 While it is considered to be one of the safest classes of antidepressants, one of the biggest risks of taking this medicine is the severe adverse effects it causes when drinking while on Lexapro. Alcohol reduces the effectiveness of Escitalopram taken, and also actively worsens the anxiety and depression levels. Is It Safe To Drink Alcoholic Beverages When On Escitalopram? What Are The Side Effects Of Drinking While On Escitalopram? Is There A Safe Amount Of Alcohol To Drink On Escitalopram? What Are The Effects Of Alcohol On Escitalopram Users With Mental Health Disorders? Mixing Lexapro And Alcohol: Is It Safe? The clear answer to the question is that the combination of Lexapro and drinking should be avoided at all times. SSRI class antidepressants like Escitalopram reduce severe symptoms of depression and anxiety by blocking to reuptake of serotonin to the brain. 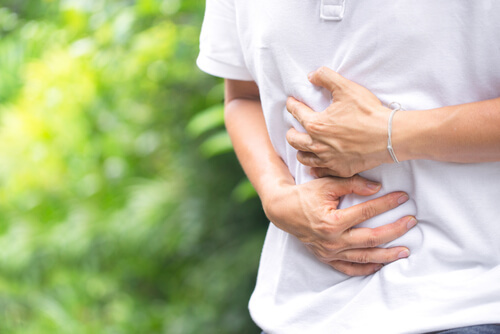 This procedure gives a safe and consistent relief to the person on medication, allowing them to function normally in everyday life without suffering from severe symptoms. When mixing Lexapro and alcohol, the effectiveness of this medication tends to be drastically decreased due to the effects of alcoholic agents on the brain. Lexapro and alcohol effect on the liver is another critical health issue especially with long term consumption of this combination. Mixing Lexapro with alcohol gives a completely reverse effect, further increasing the anxiety and depressive levels. Another important thing to note is that once a physician prescribes an antidepressant, it is not recommended to suddenly stop taking the medications simply to drink. Coming off Lexapro is a process that should be carefully done under the supervision of a physician. Escitalopram itself comes with a few negative side effects such as dry mouth, constipation, and drowsiness. It is still one of the safest antidepressants in the market with positive results, working well as one of the most common starting medications for depression and anxiety. However, escitalopram with alcohol combined, the side effects that a person experiences can be extremely severe. Escitalopram and alcohol interaction is almost always negative, getting worse with the amount of consumption especially during a short period. Following are a few Escitalopram oxalate side effects when mixed with alcoholic drinks. Simply put, Lexapro and alcohol side effects are often intensified states of what one tries to reduce by taking antidepressant medication in the first place. The overdose on escitalopram is also possible when taken with other medications, and with the influence of alcoholic drinks in the bloodstream. Those who have been used to regular drinking before being prescribed antidepressant medication often ask the question can I drink alcohol while taking Lexapro. While it is clear that the combination of drinking and Lexapro have many adverse effects, many still wonder if there is a safe amount of alcohol which can be consumed while being on medication, however small it might be. The way the human body responds to drinking and the toxicity needed to get a certain euphoric effect is different from one person to another. Therefore, the question “can I drink on Lexapro?” should be asked from one’s physician who prescribes the medication and who understands the health and the medical history of a person. If one is on antidepressant medication, even the most moderate drinking on Lexapro should be consumed only occasionally, and only if the person has not or is not prone to alcoholic disorders. The quantity of the drink should be small, and Escitalopram alcohol should be consumed with a full stomach of food to reduce the intensity of the effects of alcoholic agents. One of the most important factors to consider when asking can you drink alcohol on Lexapro is whether one has any negative affiliations with having alcoholic beverages in the past. Lexapro high and the short-lived euphoric feelings of drinking can be extremely addictive. Therefore, former alcoholic persons and those who have severe mental health disorders like depression should particularly stay away from any kind of alcoholic substance. No matter how small the amount is, drinking on Lexapro 10 mg or even more, this combination should be avoided at all costs. Even if someone did not have severe side effects when drinking while taking Lexapro, it does not mean that they should continue that as a habit. While direct Lexapro and alcohol death scenarios are rare, Lexapro alcohol interactions increase the depressive feelings of someone, which can eventually lead to severe suicidal thoughts. Just like any other addiction, drinking with Lexapro should be approached with understanding and care. Coping skills for being addicted to drinking alcohol on Lexapro are different from one person to another. The first step is to avoid situations with triggers and urges to consume alcoholic drinks. There are plenty of drug abuse recovery options out there once a firm decision is made to stay clear from this risky habit and stay healthy. For those who feel like they need more help in getting over an addiction, rehabilitation in a facility is a great option to go for. Addiction Resource » Addictive Substances: The Anatomy of Drug Addiction » Lexapro (Escitalopram Oxalate) Use, Abuse, And Addiction » Lexapro And Alcohol Combination: Is It Safe?